Your car battery powers everything from your radio to your headlights, and it’s important to make sure you always have enough juice! 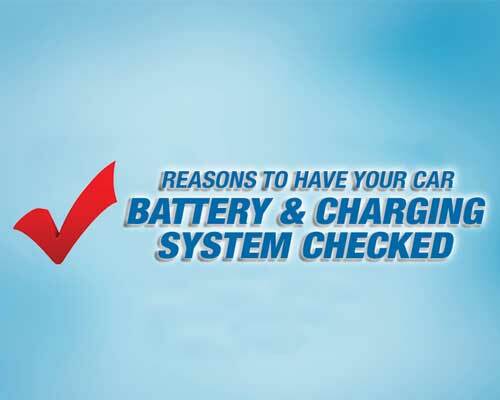 To help you know when your battery requires attention, we’ve come up with this handy checklist. Your car doesn’t crank or cranks slowly in the morning. Your headlights or dash lights dim when stopped at a light at night. Your ammeter or voltmeter on your dashboard doesn’t run in the normal spot, or is too high or too low. Your turn signals blink slower than usual. You hear a whining noise coming from the front of the engine.